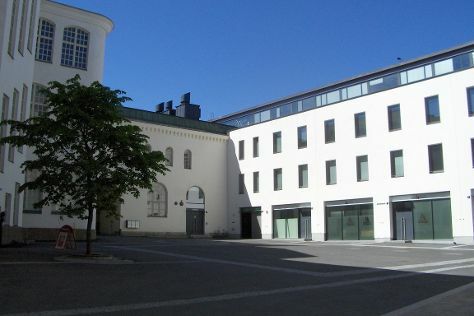 Start off your visit on the 3rd (Wed): contemplate in the serene atmosphere at Rock Church, steep yourself in history at Seurasaari Island and Open-Air Museum, learn about all things military at Sea Fortress Suomenlinna, then pause for some serene contemplation at Helsinki Cathedral, and finally explore the world behind art at Kansallisgalleria. On the 4th (Thu), you'll have a packed day of sightseeing: have fun at Murulandia, don't miss a visit to Hakaniemi Market, and then contemplate in the serene atmosphere at Uspenskin Cathedral (Uspenskin Katedraali). To see photos, more things to do, maps, and more tourist information, refer to the Helsinki travel route planning app . Los Angeles, USA to Helsinki is an approximately 16.5-hour flight. You can also do a combination of train and flight; or do a combination of bus and flight. Due to the time zone difference, you'll lose 10 hours traveling from Los Angeles to Helsinki. Traveling from Los Angeles in July, expect Helsinki to be a bit cooler, temps between 71°F and 55°F. Wrap up your sightseeing on the 4th (Thu) early enough to travel to Inari. Start off your visit on the 5th (Fri): identify plant and animal life at Wildlife Areas, see the interesting displays at Siida, and then pause for some serene contemplation at Pielpajarvi Wilderness Church. To see other places to visit, maps, photos, and tourist information, read Inari trip builder site . Getting from Helsinki to Inari by flight takes about 4 hours. Other options: drive; or do a combination of train and bus. In July, Inari is little chillier than Helsinki - with highs of 64°F and lows of 49°F. Finish your sightseeing early on the 5th (Fri) to allow enough time to travel to Tampere. 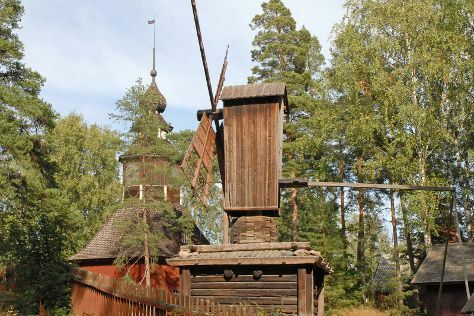 On the 6th (Sat), see the interesting displays at Tampere City Library, Metso, then identify plant and animal life at Hatanpaa Arboretum, then take in the spiritual surroundings of Tampere Cathedral, and finally examine the collection at The Finnish Labour Museum Werstas. For more things to do, reviews, photos, and other tourist information, read our Tampere sightseeing planner . Getting from Inari to Tampere by combination of flight and train takes about 5.5 hours. Other options: do a combination of bus and flight; or drive. When traveling from Inari in July, plan for somewhat warmer days in Tampere, with highs around 70°F, while nights are about the same with lows around 52°F. Wrap up your sightseeing on the 6th (Sat) early enough to drive to Kouvola. Kouvola is a town and municipality in southeastern Finland. On the 7th (Sun), look for all kinds of wild species at Arboretum Mustila, examine the collection at Maritime Centre Vellamo, and then appreciate the extensive heritage of St. Nicholas Orthodox Church. On your second day here, take in the architecture and atmosphere at St. John's Church, admire the striking features of Hamina Fortress, make a trip to Saint Peter and Saint Paul Cathedral, then admire the landmark architecture of Main Building of Military School, then identify plant and animal life at Riverside Park, and finally pause for some serene contemplation at Pyhtaa Church of Saint Henry. To see more things to do, photos, reviews, and tourist information, go to the Kouvola route planner . You can drive from Tampere to Kouvola in 3 hours. Alternatively, you can do a combination of bus and train; or take a train. In July, daytime highs in Kouvola are 70°F, while nighttime lows are 54°F. Finish up your sightseeing early on the 8th (Mon) so you can travel back home.